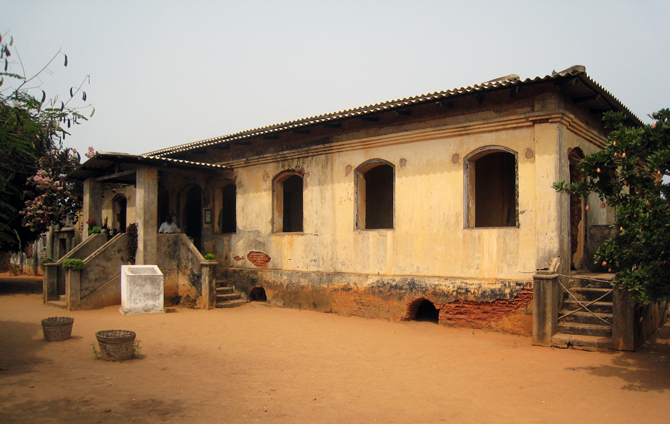 It takes 15 minutes drive from Avepozo to the Woold Home at Agbodrafo an obscure evidence of colonial Slave history. Built by an British slave trader in 1835, Woold Home was used as a prison for slaves to be sent to the new world. Hundreds of slaves were kept in deplorable conditions for weeks squatting in their excrements in a 150 cm high dungeon. Thousands of Africans passed through this agonizing nightmare as they waited to be shipped to their destinations. This is one of the most depressing places to be and it is not difficult to imagine what these people suffered.